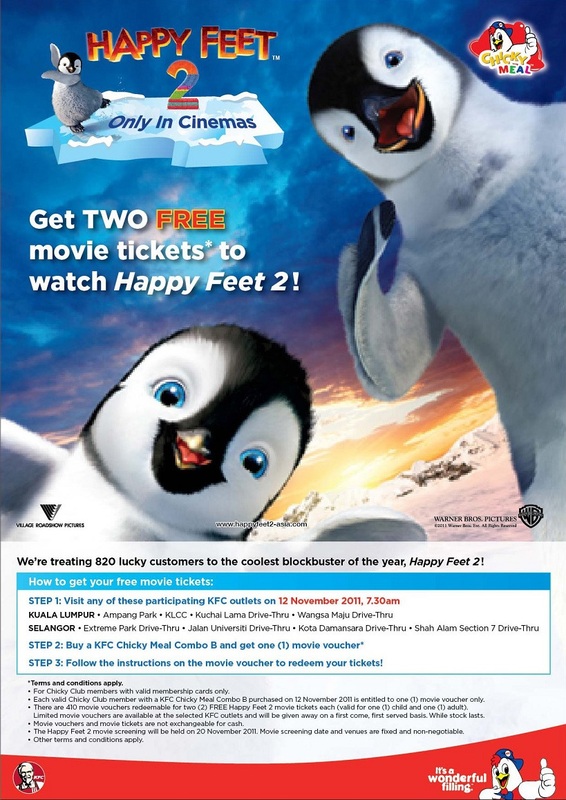 Want to watch Happy Feet 2 for FREE? KFC is treating 820 lucky customers to the cutest blockbuster movie of the year, Happy Feet 2. Hurry up! Be the first to grab two free movie ticket at selected KFC outlet. How to get the free Happy Feet 2 movie ticket? Step 3: Follow the instructions on the movie voucher to redeem your tickets!